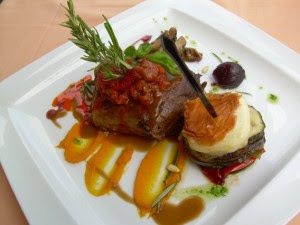 SkyBlue Mallorca Gourmet promotes anything gourmet in Mallorca, Balearic Islands, Spain. This island paradise in the Mediterranean has an abundance of gastronomic delights covering wine now produced by over 50 wine estates to gourmet shops promoting and selling local products. Special promotions from restaurants in Mallorca will be announced here for everyone to participate in and enjoy. There is also a monthly competition which is normally a dinner for two at a well known Majorca restaurant. Recently re-opened under new management, at Ca Na Cuco you will find generous dishes of traditional Mallorcan fare, with a modern touch thrown in. Everything is colourful, abundant and downright delicious.